For all the games out there that are ostensibly about war, precious few of them handle the subject with any real depth or elegance. Such games tend to be all about the brutal mechanics of war rather than the exacting toll it takes on people and places. 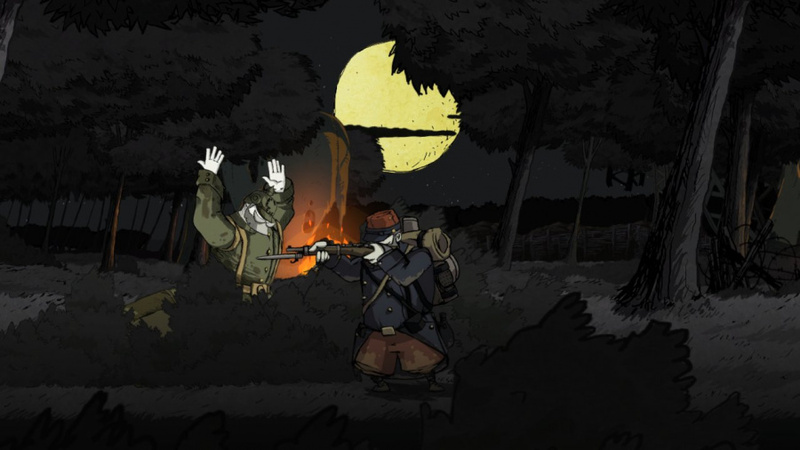 Valiant Hearts: The Great War, by contrast, is one of the most humane war games you'll ever play. But don't let that fool you into thinking it's dry or dull. In fact it's affecting, exciting and really rather charming. This is a side-scrolling adventure game in which you guide your character(s) through a series of light environmental puzzles, with the odd QTE-driven scene thrown in for dramatic purposes. The perspective switches between several key characters, including a middle-aged French farmer, a vengeful American soldier and a plucky Belgian veterinary student-turned-battlefield medic. There's also a resourceful German dog companion who can be instructed to squeeze through gaps and fetch items for you. The puzzles themselves rarely clamber above a basic level of complexity. They follow the basic pattern of your average point-and-click adventure, but with far fewer objects and interaction points. This lack of variables cuts down on the tiresome trial-and-error and the endless backtracking that have become synonymous with the genre, but it also strips the game of a sense of challenge and achievement. On the flip side, there's a greater sense of physicality to the world of Valiant Hearts: The Great War than in your average point and click adventure game. You take direct control of your characters, with fixed button mappings for melee attacks and projectile throws. These are put to use in scenes where you have to move forward under sustained machine-gun fire, or sneak past a patrolling guard. Other sections require you to judge the trajectory of a grenade or stone toss. You do have the option of using the Switch's touchscreen to control everything in handheld mode, and it's perfectly playable as such. But for our money, it's better with the tactile feedback of buttons. It's all pretty light stuff whichever control option you choose, but the action in Valiant Hearts: The Great War works effectively to embed you in its world. And what a world it is. This is a take on the First World War that somehow manages to be both historically accurate and wildly fantastical. The order of events and the tick list of collectable materials you assemble throughout the game all paint an accurate picture of life in Western Europe between 1914 and 1918. Ubisoft Montpellier has done its due diligence here, to the point where Valiant Hearts could conceivably be used as a teaching tool in this centenary year of the First World War Armistice. Conversely, the game world itself is rendered like some kind of alternate history of the war to end all wars as drawn by a mid-20th century comic book artist. 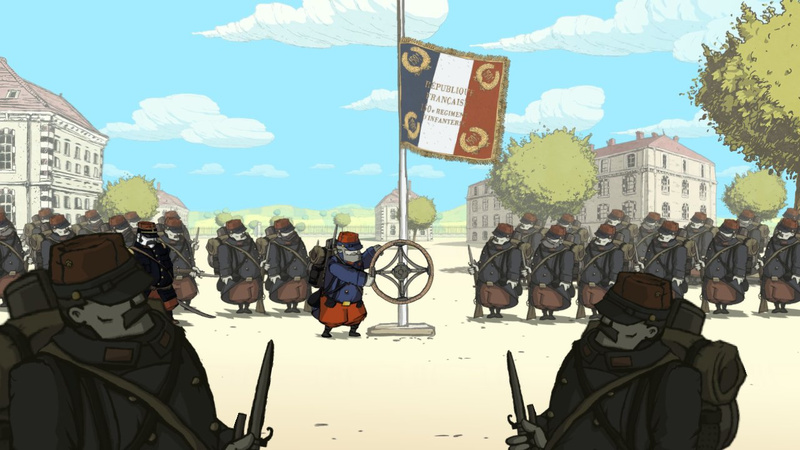 A muted cartoon art style lends the game a curious sense of warmth and expressiveness, which softens the edges of this horrific conflict without ever trivialising it. Meanwhile, the game's characters communicate through grunts, gestures and emote icons, with diary entries and an all-knowing narrator filling in the details of these exchanges. It all looks quite beautiful and serves to tell a moving tale without ever devolving into the depressing slog that it could so easily have become. Occasionally you might question the outlandish turns the game takes - chasing down a steampunk zeppelin, for example - but it's all pulled off with such spirit and affection that it avoids feeling too incongruous. 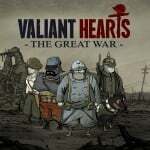 Valiant Hearts: The Great War isn't a new game, having launched on various platforms back in 2014. 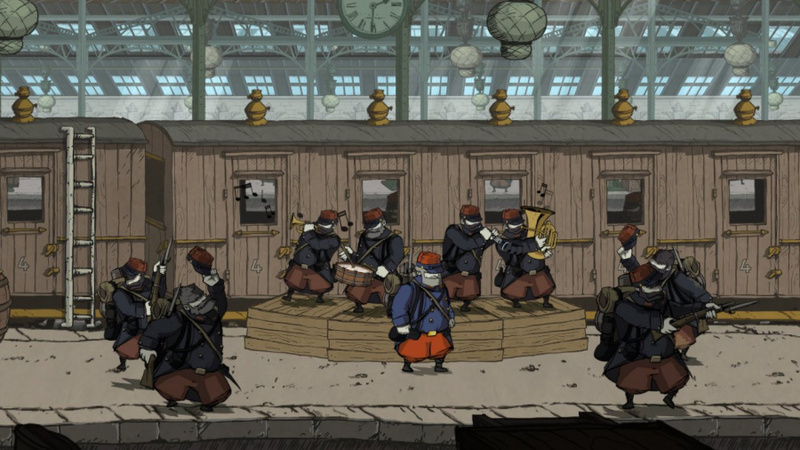 But its unique visual style, pacy puzzling, and First World War setting mean that it still feels fresh right here on Switch in 2018. The tale it tells of bravery, friendship and loss, meanwhile, is truly timeless. Valiant Hearts: The Great War is an elegant mix of 2D adventuring, simple logic-based conundrums, and effective storytelling. Its puzzles are a little uninspired, while the game's QTE segments can grow rather tiresome. 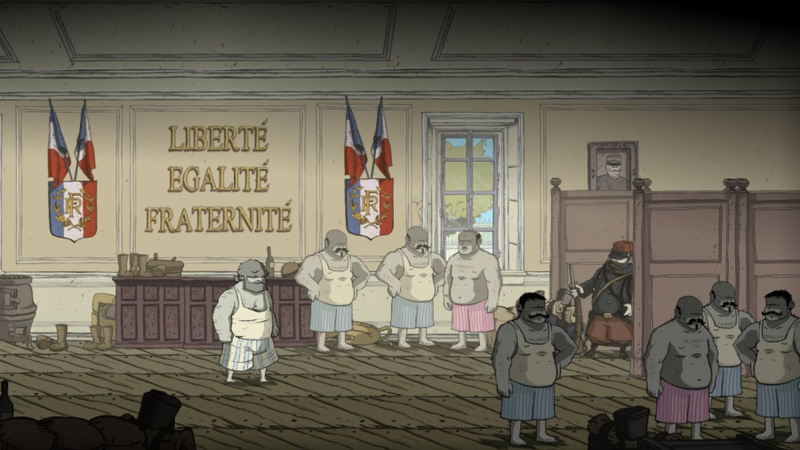 But Ubisoft Montpellier has told a poignant story with real spirit and invention, and that makes this an easy one to recommend. Start on a pun on the Somme, classy. Liked Child of light more, but still - great game. This game makes me really want Ubisoft to continue using UbiArt. Whether that be a new Rayman game, Child of Light 2, or an entirely new IP, it's a gorgeous engine that's dreadfully underused IMO. I'd been looking forward to this one! Shout out to the music and sounds in this beautiful game. It really heightened the experience for me. The narrator especially is so damn poignant. $20 is pretty pricey for the game but damn if it won't hit you straight in the feels. Highly recommended but if you've got a PS4 can get it for cheaper there. I highly recommend it to everybody who is interested in the First World War. The only complaint I have is that they made the main antagonist a comic book villain. Really happy to see this one at last on Nintendo hardware. I will patiently wait for this and Child of Light to show up on retail. Beautiful Game, will definitely buy it again for Switch. As stated, this is a beautiful game both in art and in story. I highly recommend it and especially for those into WW1. I’ve thought about this when I had a PS3 but never ended up buying it. I think I’ll pick this one up soon. This is such a good game! It’s rare for a game to stir up such emotions in me, but this one certainly did. I highly recommend this game to anyone wanting a great story. Heh, launched in 2014, ported in 2018. I see Ubi has a sense of timing. It's a one-off game, but a pretty good one. I would like them to return to the subject and focus on eastern fronts a bit, but this game does the job pretty well. It does not trivialize the war, though I did find some of the warmachines pretty jarring, like the one that appears when the first tank makes its debut.